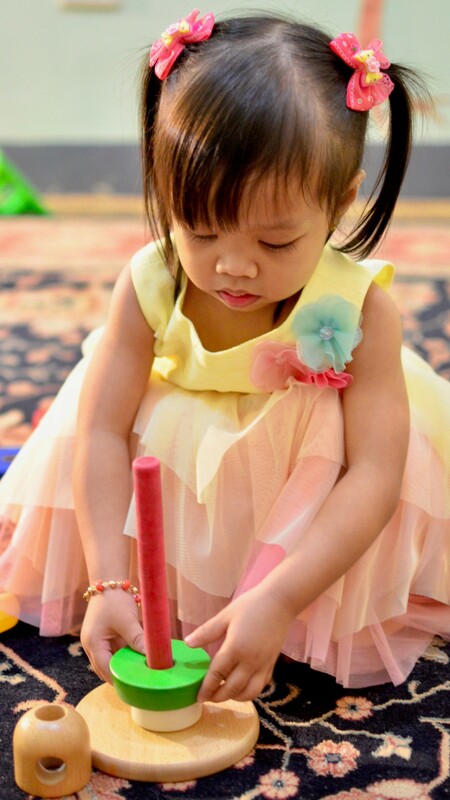 Toddler Playgroup Class is a combination of Family Music for Toddlers, story telling, sensory activities, easy art activities, simple puzzles, match and sorting activities. 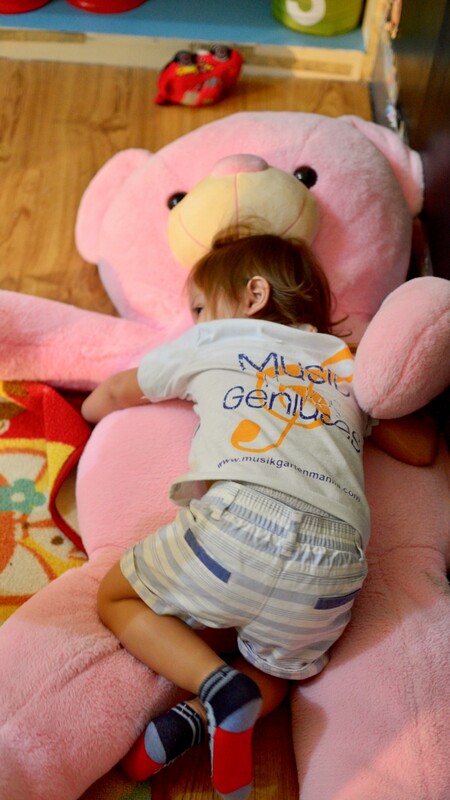 A Toddler’s best mode of learning is primarily through music and play. 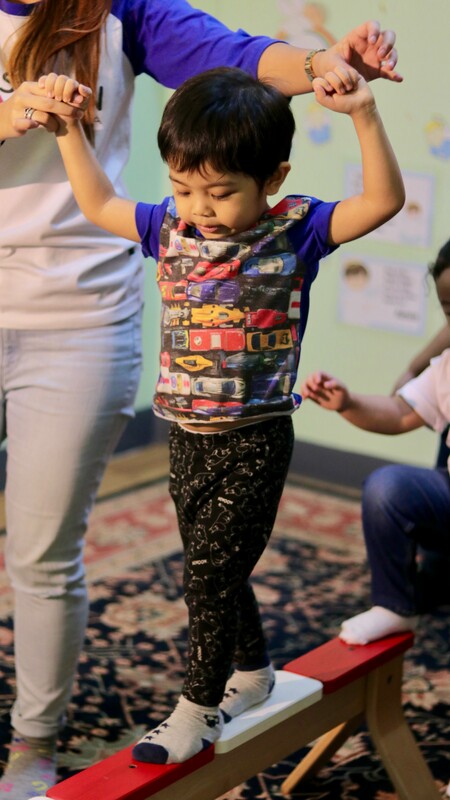 Opportunities for exploration through hands and movement are greatly supported in our prepared environment while we adhere to progressive approach in teaching. The activities for this age group are built around toddlers' limitless curiosity and their natural desire to push boundaries. 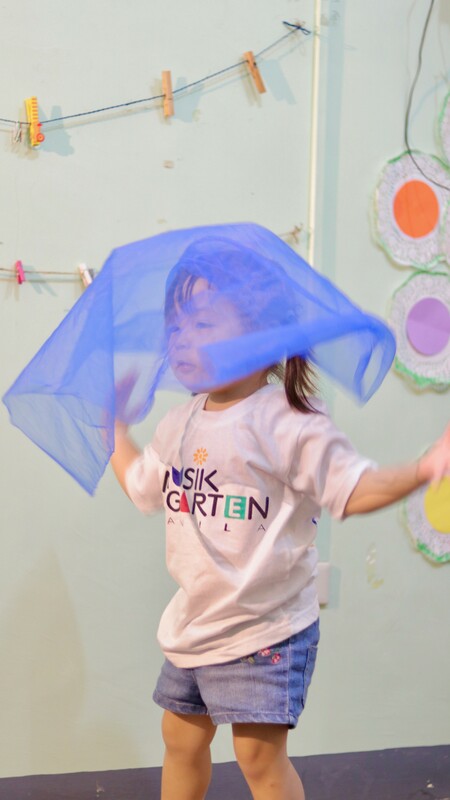 However, teacher directed activities are also integrated, into the curriculum when we do Musikgarten activities, as we believe that imitation is still a helpful tool in forming children. 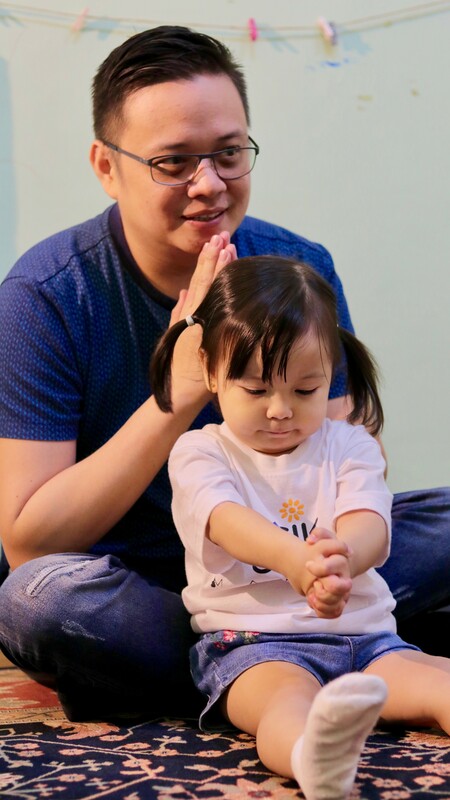 We address all the developmental domains of the growing Toddler by watching how they are progressing socially, physically, emotionally and cognitively. 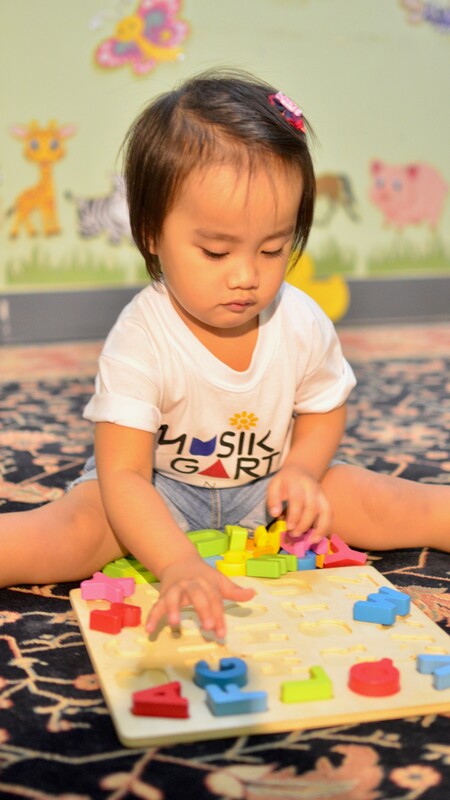 In language and literacy development, we use the melodic and rhythmic patterns in syllabicating the words they need to learn. 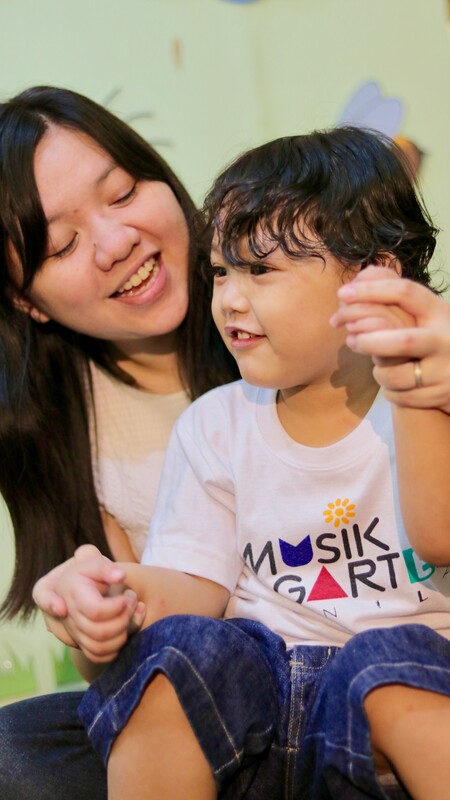 Melody and rhythm help in stimulating toddlers to practice saying the words. The delight that music brings lightens the effort in enunciation. We use songs in building vocabulary and in comprehending them. 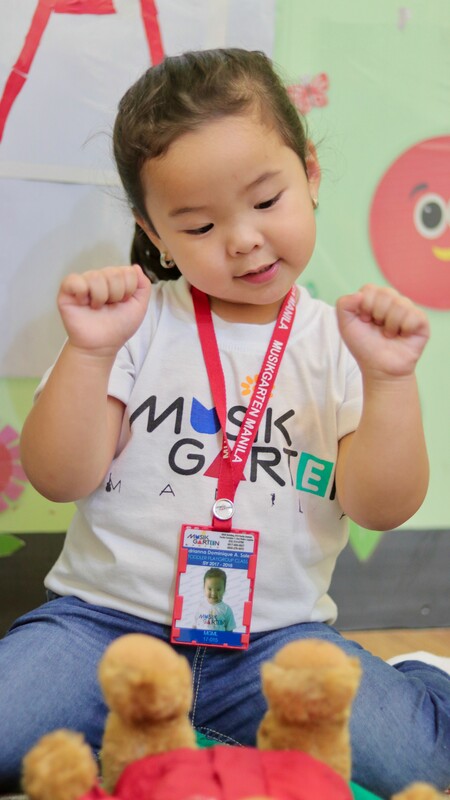 Music aides in the social and emotional development of these young children through its communal merry-music making. 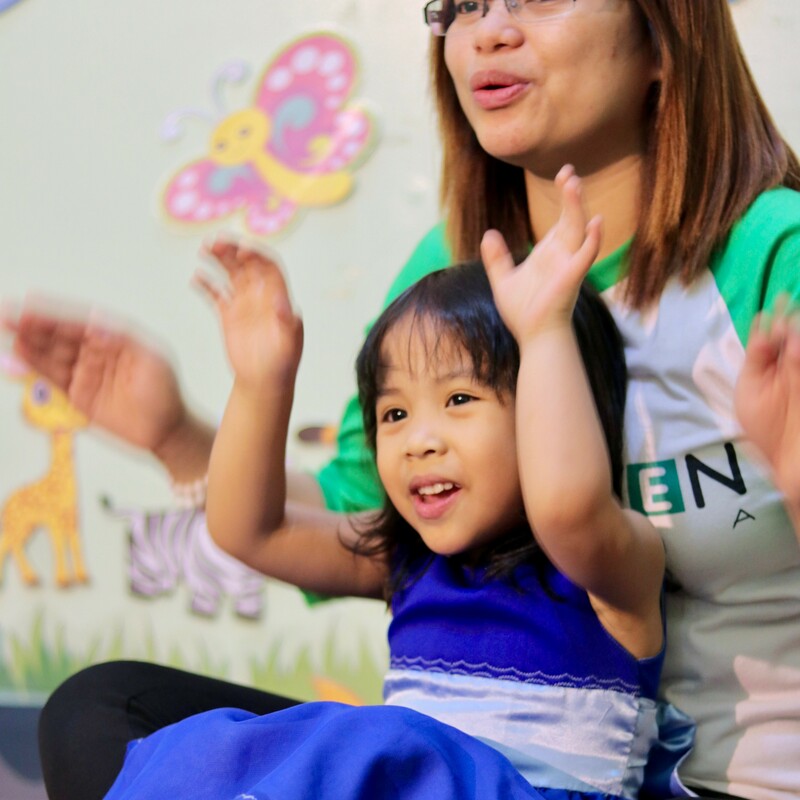 We use songs to encourage them express positive emotions towards other children and adults, and learn to share things. 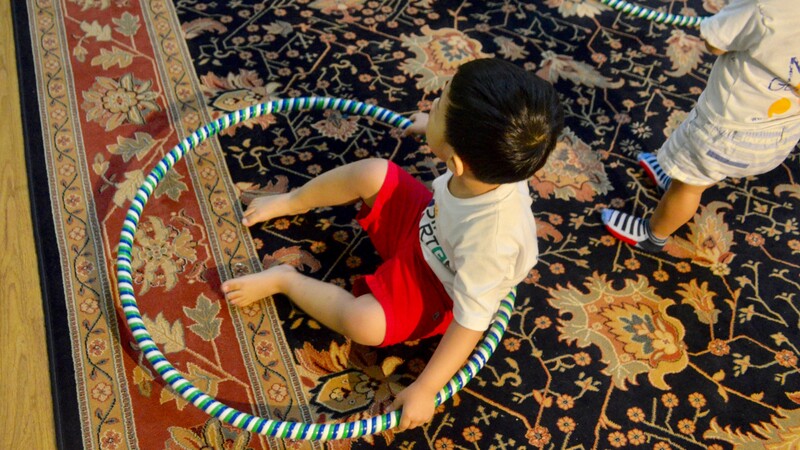 Balance and coordination are very important areas to be developed in a toddler. 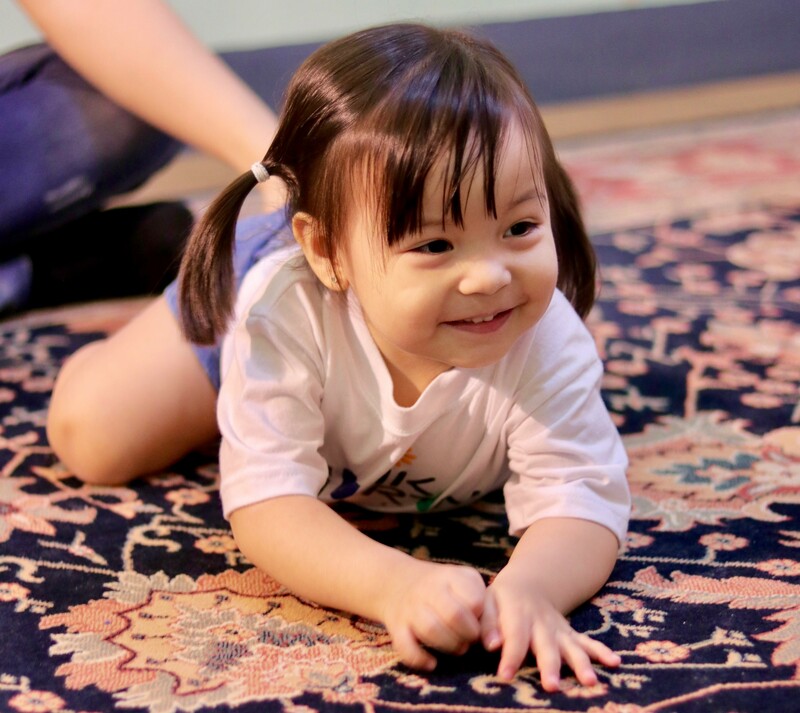 Their physical development like in walking, bouncing, throwing is facilitated in the activities. 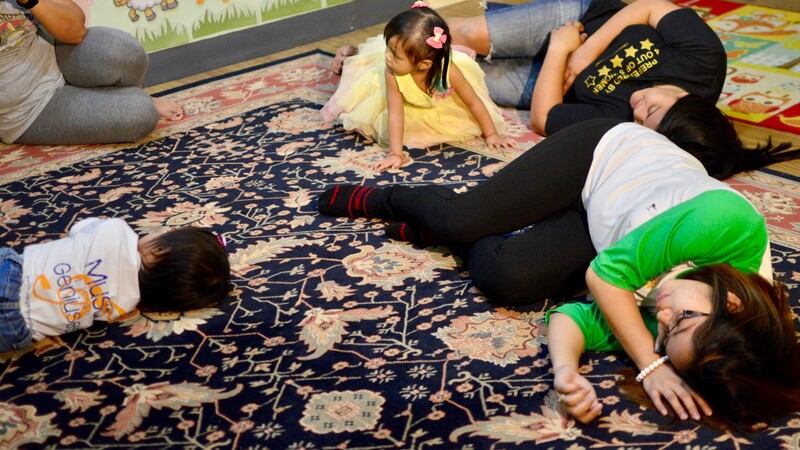 The need of their bodies to move is greatly supported by the teachers. Various objects, shapes, numbers, letters are introduced to them in an approach carefully designed for this very young age. 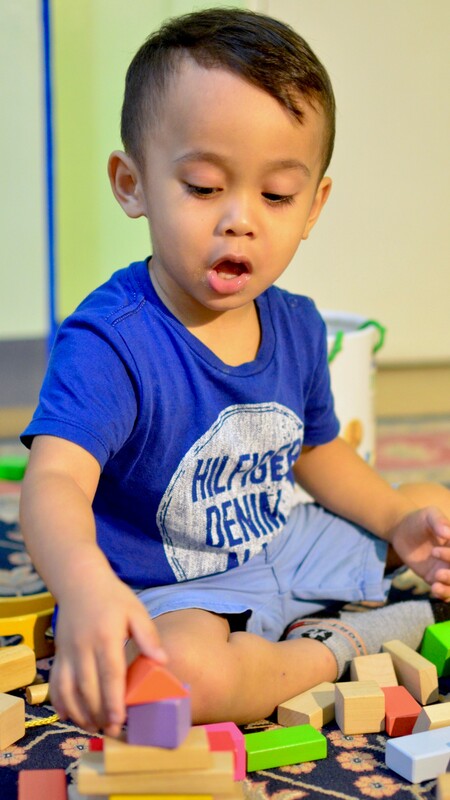 The cognitive skills developed by way of sorting, classifying, identifying, matching are facilitated by use of materials designed for the toddlers. We know that music and the arts unlock the creative minds of the young. 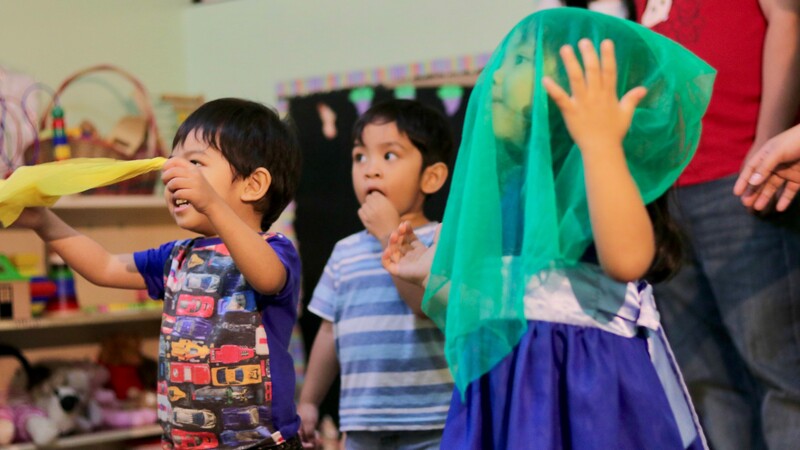 Story telling accompanied by musical instruments is a unique tool in stimulating the minds of children. This also develops focus and extending attention span. 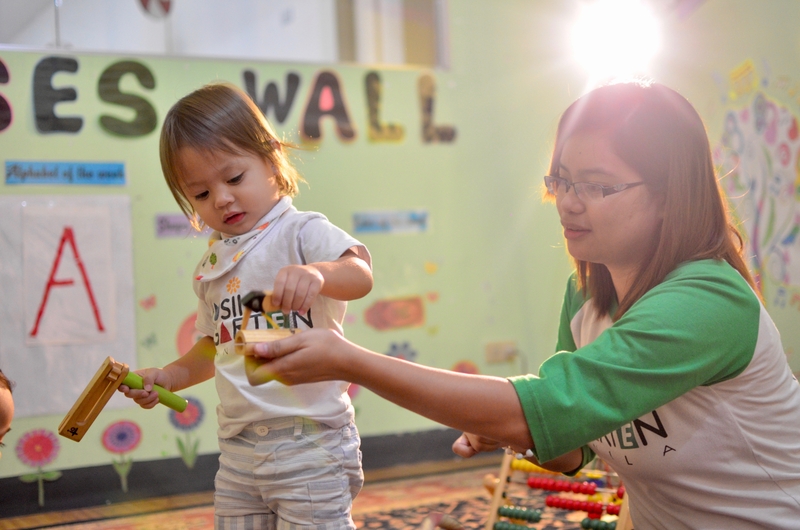 The simple art activities will help them express their feelings, ideas and imagination.